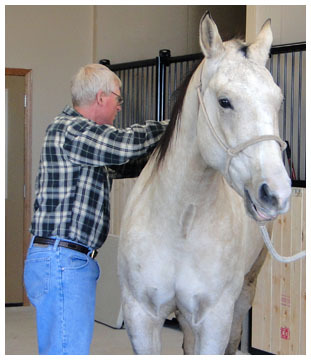 Dr. Rodney Clements is a certified animal chiropractor and uses both manual manipulation and the activator method to help reset the spine and instill better circulation for healing. 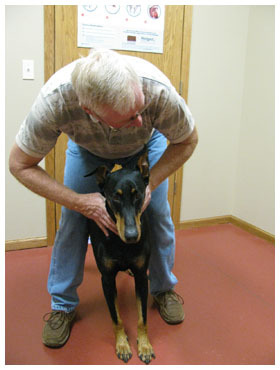 He practices on both small and large animals. 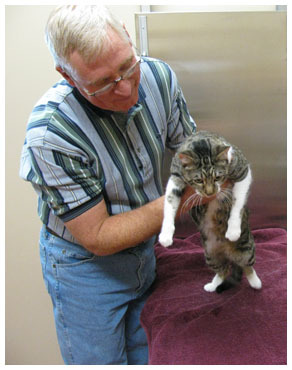 He is located within our building and is available Monday through Thursday by appoinment. 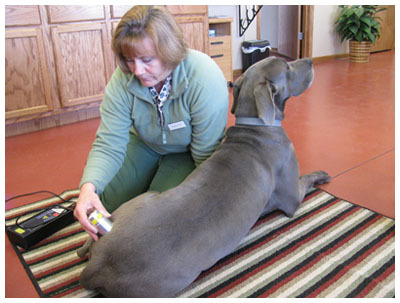 These therapies with supplements often keep animals off of chronic medications that can be harmful to their long term health. 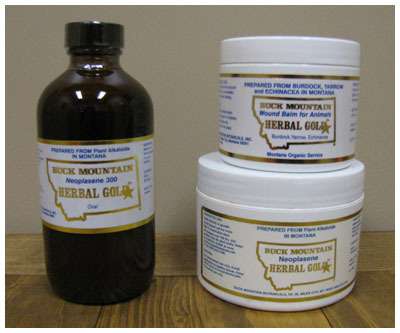 resolve inflammation, and give pain relief. 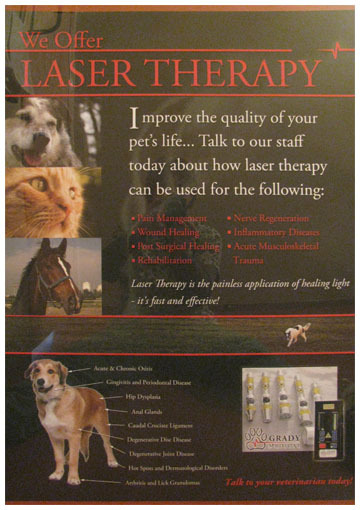 Laser therapy helps relieve both acute and chronic inflammation, and aids in a quicker recovery time. 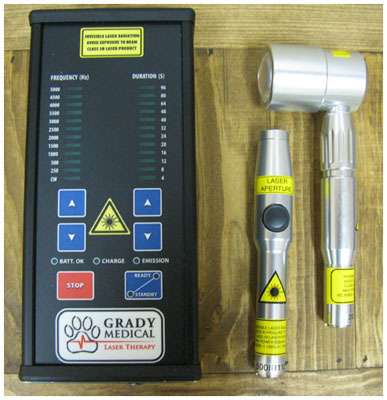 It can also be used on the acupuncture sites for those pets who do not enjoy needles! cell carcinomas of the bladder, mast cell tumors, sarcomas, adenocarcinomas, osteosarcomas, and more! We utilize it with topical applications, injectable, or oral doses.